This looks like a fun toy to have around the house- a remote control inflatable from VAT 19. The fish actually look like they’re swimming in the air. 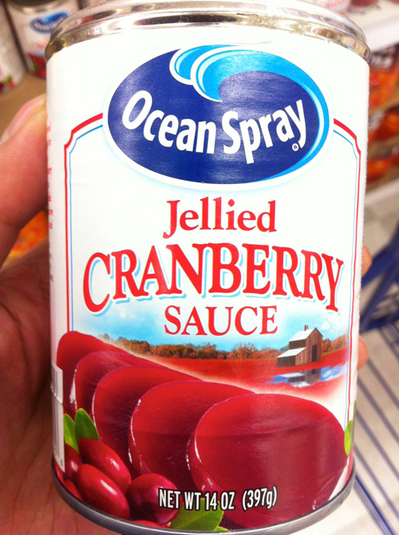 Not growing up with cranberry sauce as a part of Thanksgiving dinner, I find the canned jellied variety especially interesting. Here in this picture on the can, they seem to revel in the fact that it is actually served as sliced disks that were shaped by the can.